Dan graduated from Balliol College, Oxford, with a first-class honours Degree in Modern History. A highly respected historian and television documentary-maker, Dan presented his first programme in October 2002, going on to make an eight-part documentary series called Battlefield Britain, which won a BAFTA Craft Award. He has presented on many of the state occasions such as the 200th anniversary celebration of the Battle of Trafalgar, Beating the Retreat, the 60th anniversary of the end of World War Two, the 90th anniversary of the Armistice and Trooping the Colour. His TV credits include 20th Century Battlefields, Britain’s Lost World, My Family at War, Rome’s Lost Empire, Battle Castles: 500 Years of Knights and Siege Warfare, Locomotion: Dan Snow’s History of Railways, and Operation Grand Canyon with Dan Snow. Dan has also travelled through war zones in Congo and Syria to make programmes about the historical context of those conflicts. Dan has also created History Hit TV, a subscription-based video streaming site, offering a selection of history documentaries. Dan Snow is the youngest son of Peter Snow, BBC television journalist, directly related to Channel 4 news reporter Jon Snow and great-grandson to Sir Thomas D’Oyly Snow, a British infantry general during World War I.
Stow Maries Great War Aerodrome boasts Europe’s largest collection of Royal Flying Corps WW1 buildings which were not adapted for further military use later in its history. During the summer season, it is open to the public from 10am – 4pm, every day except Tuesdays & Wednesdays. Pre-arranged group visits, including coach trips, made by appointment. 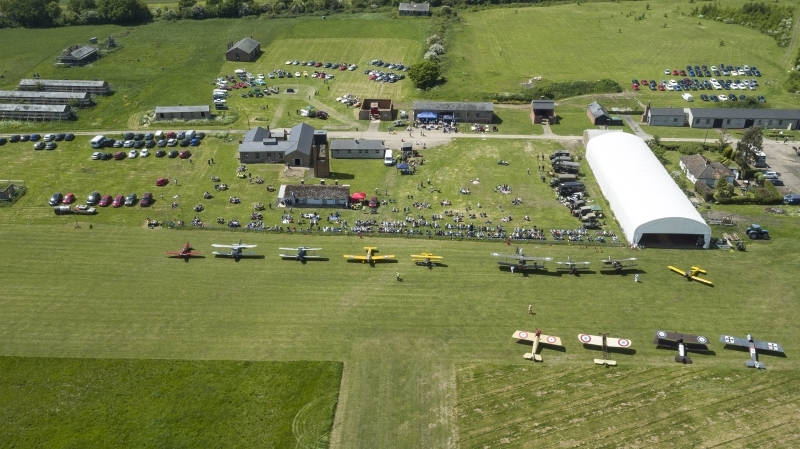 For more information about visiting Stow Maries Great War Aerodrome please visit www.stowmaries.org.uk.